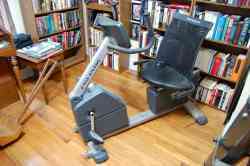 I have a recumbent bike with adapter for sale. Price is negotiable. I have a recumbent bike with adapter for sale. Price is negotiable. Cash only.